I love recipes that I can do in advance. This for sure is one of them. You can do much of this ahead or just parts of it. It’s all up to you. Flank steak is usually a tough piece of meat but cooked properly it will be soft. 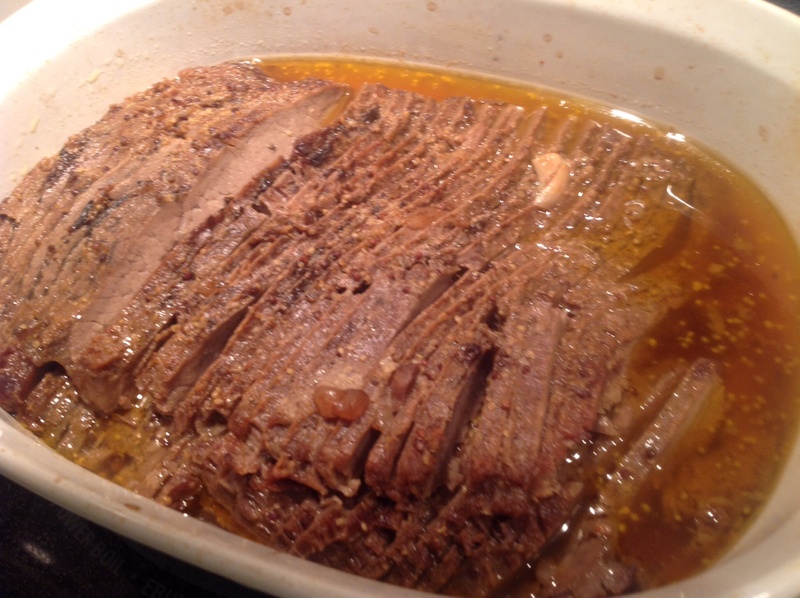 It is fun to challenge yourself to see what you can do with a rather inexpensive cut of meat. The first time I made this recipe I was taking it to my sons birthday party. It was going to be buffet style and I thought it would make a nice addition. Though, never having made it before, when it was ready to go I did hesitate, thinking people would not take to it. 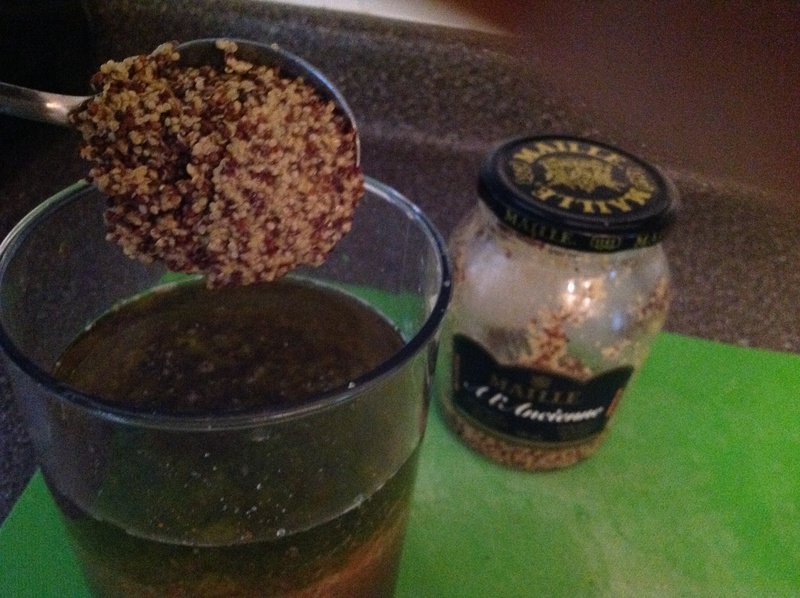 So I thought I would jazz it up a bit by adding spices in a marinade. Well I was overwhelmed at the response. I was asked for the recipe a number of times. I don’t think there was one person who didn’t compliment me on it. The ultimate compliment came from a friend of my sons and his wife, Jenn. Her little guy being only 3 years old, is a real picky eater and she said he loved it and asked for more meat. Thanks Lucca. I knew that I had a winner with this crowd. It just doesn’t stop there. Whenever I make it people are always making this sound when they eat. MMMMM, OOOOO, even the guys will say, this meat is delicious or this is awesome! People always asking for the recipe. So guess what? I decided to post it. 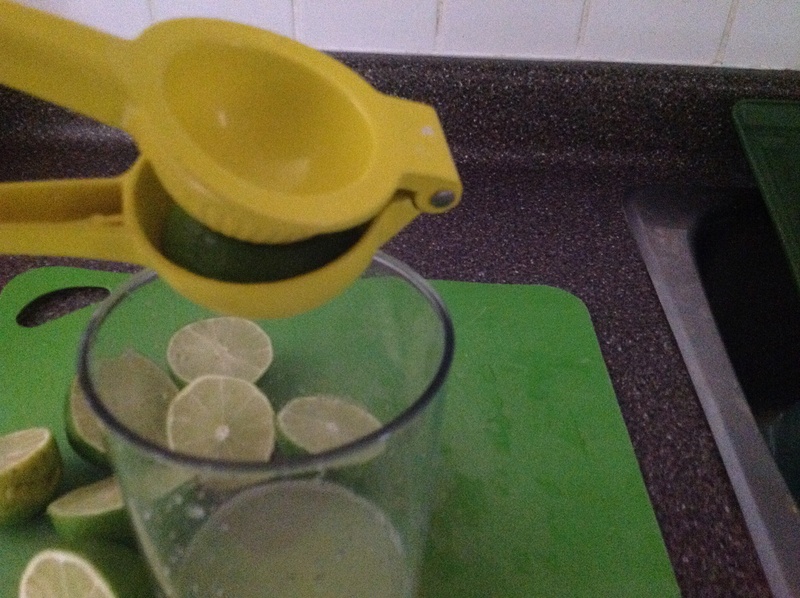 I started by grating the rinds of the lemon and limes I was using, then adding them to a container. Next came the juice. I like to use some type of jar with a lid. 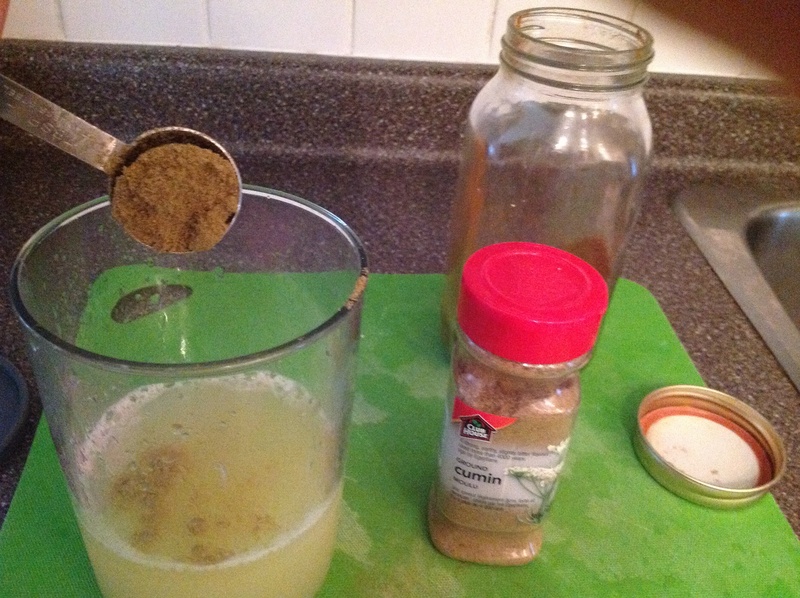 Next I added some cumin. 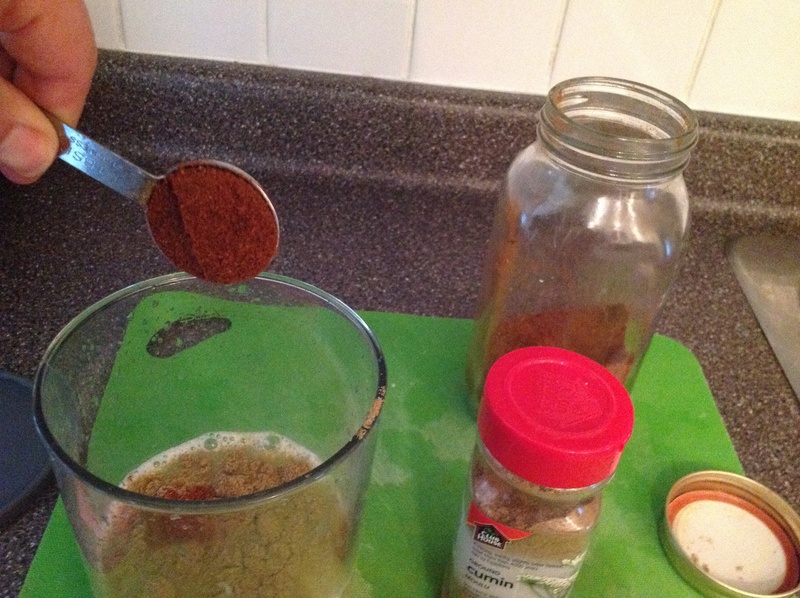 Then some fabulous chilli powder. And sugar because I wanted to. 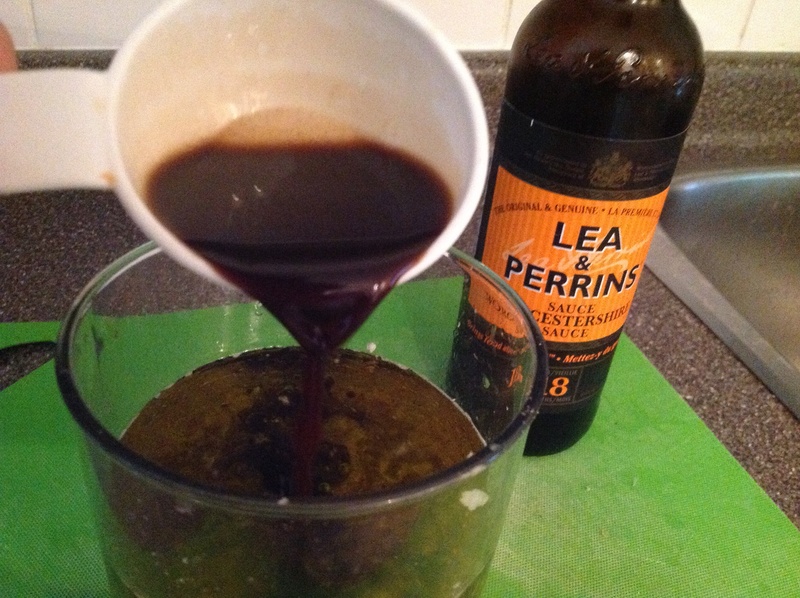 I love the taste of Worcestershire, so I added some of it. Then came the mustard. Using whole grain because that’s what I first had seen when opening the fridge. 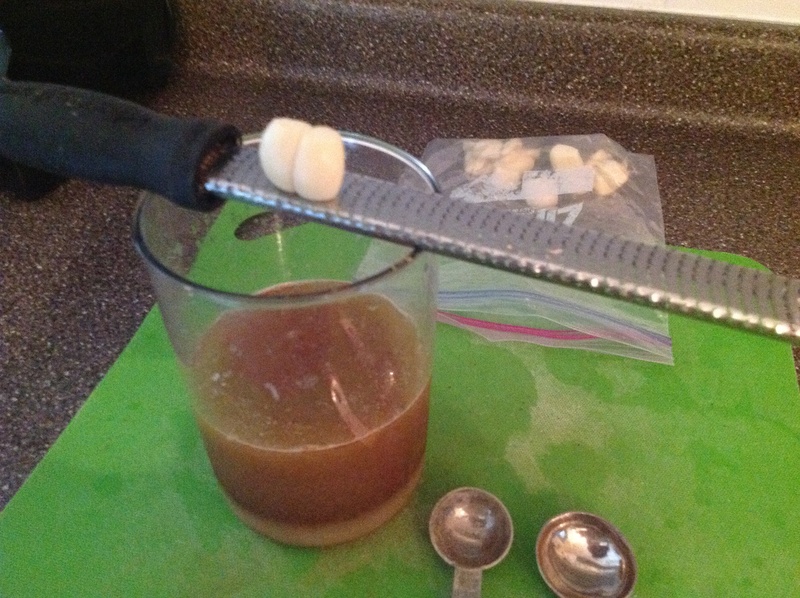 Next I grated fresh garlic. I don’t think that you can ever have too much garlic. Though my husband disagrees, so I have to limit what I use. Though, sometimes I do sneak some extra in. Give the container a good shake and there you have it. 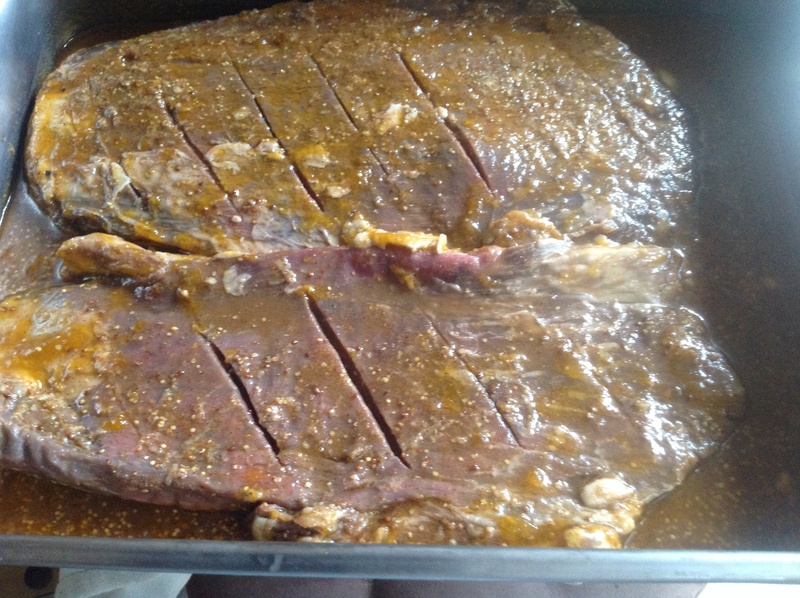 Now I place my steaks, which I slashed, into the pan that already had some marinade in it. I poured more marinade on top of the meat, covered it with foil and placed it in the fridge for 24 hours, while flipping it a few times , making sure it was well coated. This was the result. Into the oven it goes. When baked and cooled place it in the fridge covered overnight. Next on a cutting board thinly slice the steak with an electric knife. Place it in a clean pan, I’m funny that way. I added beef soup, but you can certainly add the marinade. This is so the steak won’t dry out when reheating. Cover with foil and place it in the oven. Now we can take care of the veggies. 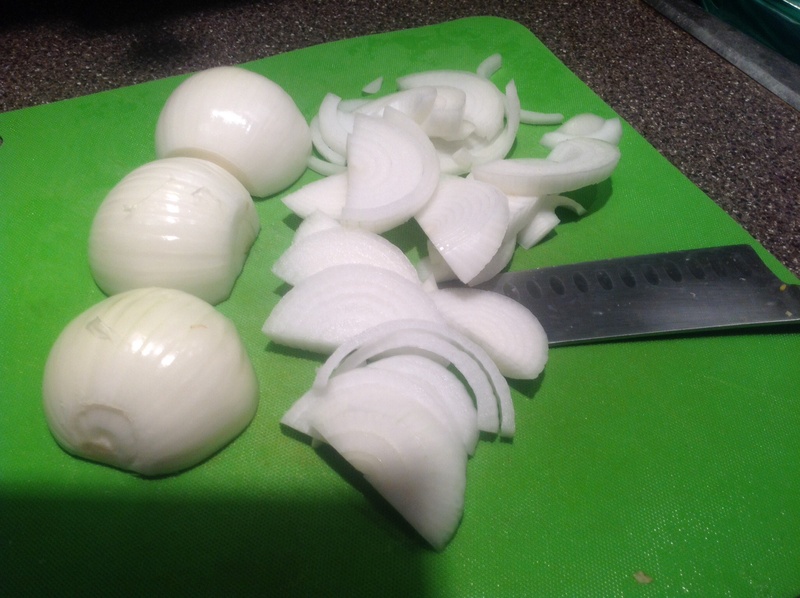 Slice your onions. And your peppers. It’s hard not to nibble here. The colours are amazing. 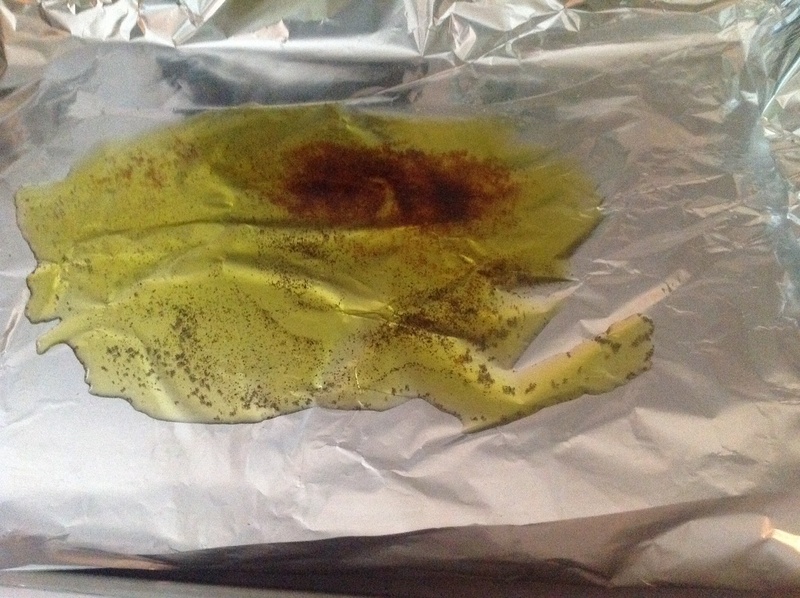 Line a pan with foil. Add olive oil and spices. Then add veggies and using the best tools in the kitchen, your hands. 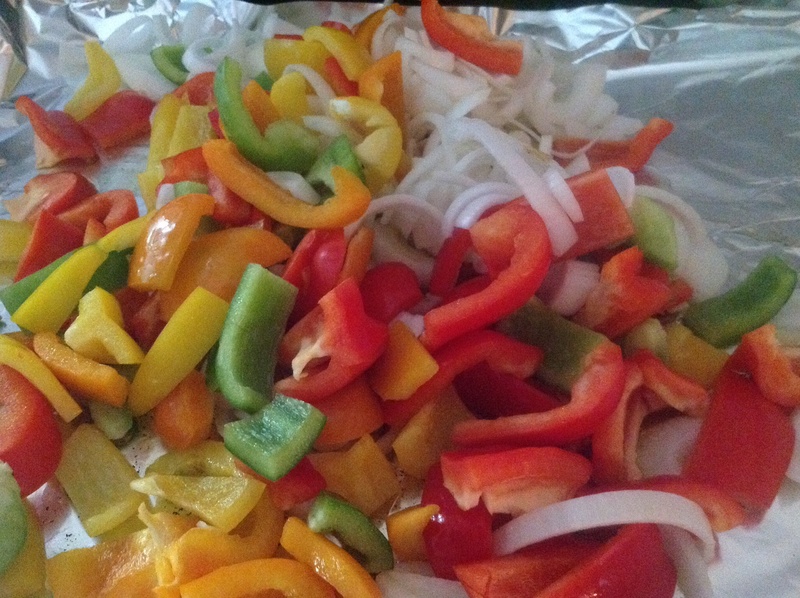 Toss veggies till well coated. 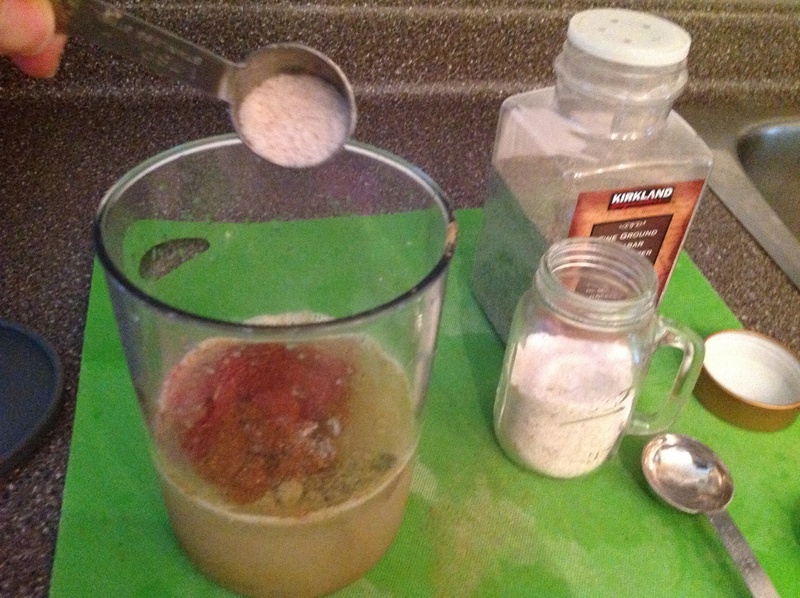 During the last minutes of cooking your steak, add the veggies and you can adjust your seasoning. Look at the colours. Amazing! Remove steak from pan, place on platter, surrounding it with the veggies. I mean really. How could you not want to eat this? I just love the colours. 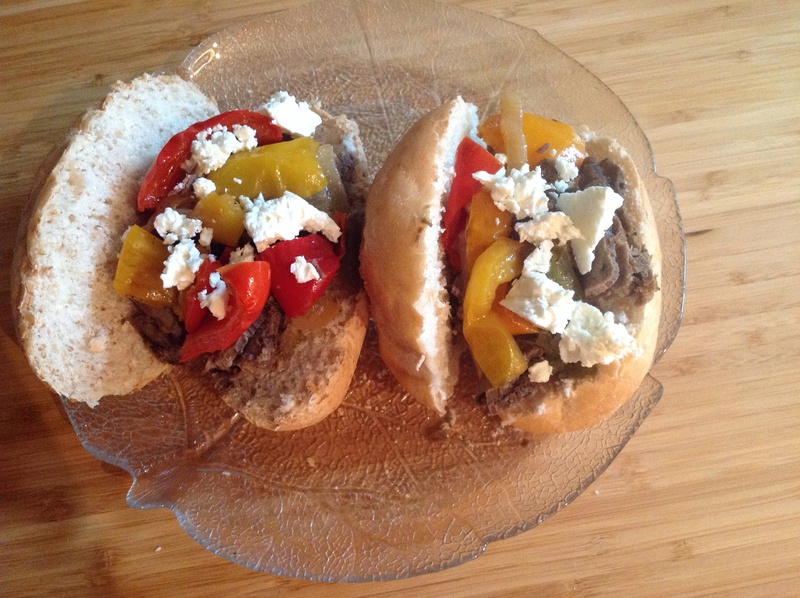 Place the meat and some veggies in some buns or just on your plate. Looks good enough to eat. So what are you waiting for? In a container mix together lime juice and grated rind, lemon juice and grated rind, cumin, chilli powder, sugar, salt, pepper, grated garlic, Worcestershire sauce, mustard and olive oil until well combined. 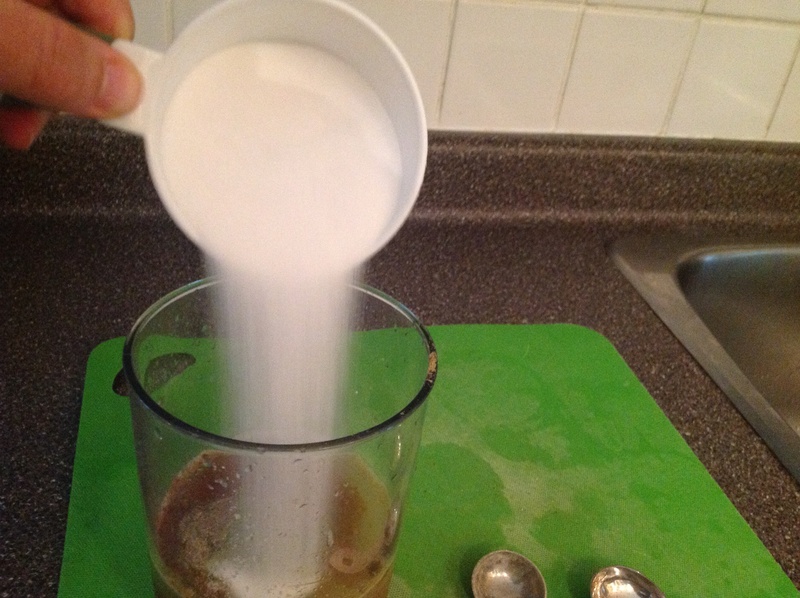 Pour half into a pan. 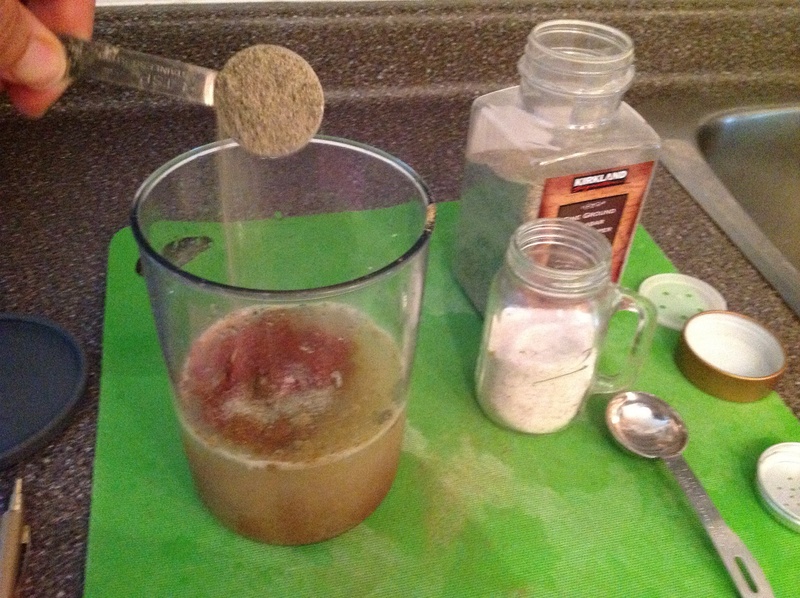 Place steak on it then add rest of marinade making sure the steak is well coated. Cover and place in the fridge for 12 hours. 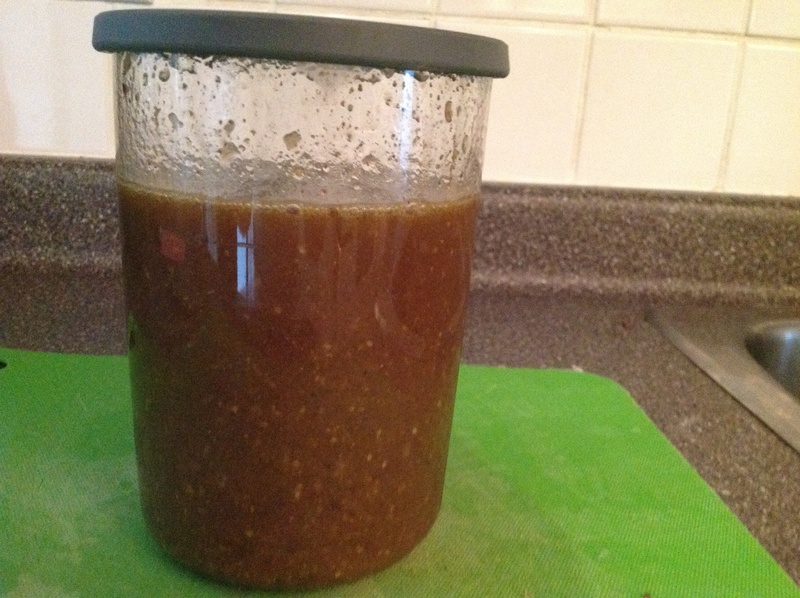 You could do it for less time, but I love the flavour during the longer marinading time. I have even left it for 24 hours. 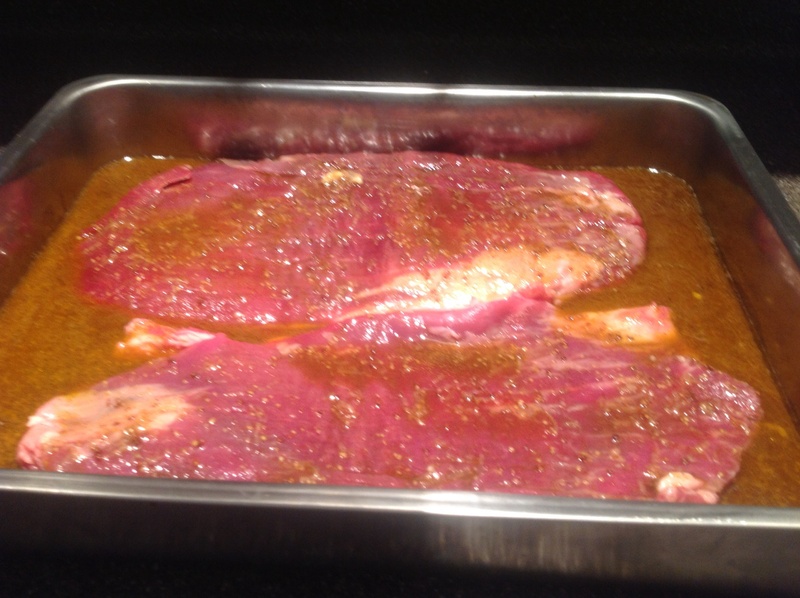 During this time turn the steak a few times to ensure that each side sits in the marinade. After marinading is complete you can bake all as is in a 325 degree oven for approximately 1 1/2 – 2 hours. Let it cool and place in fridge until the next day. 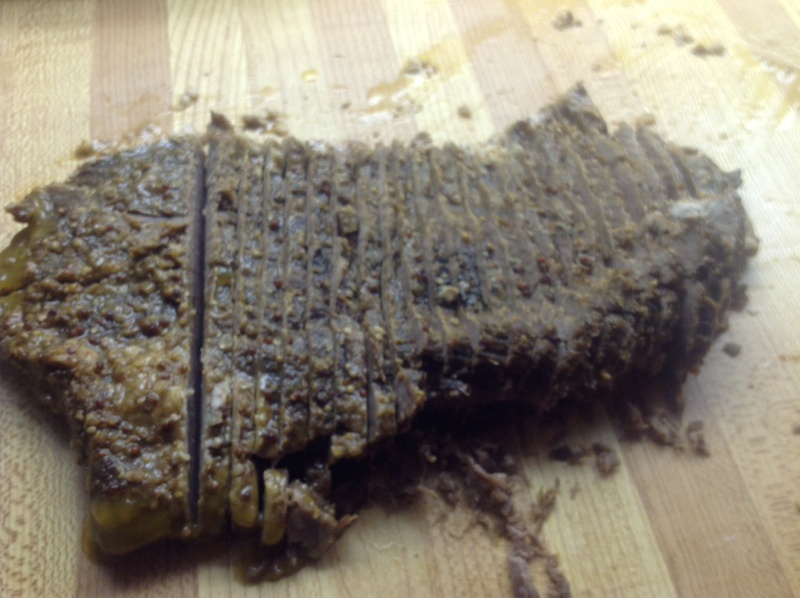 I find that this process allows you to cut the meat easily without it shredding. Next day slice the steak with an electric knife and place in a clean pan. You can use the marinade or what I like to do is add some beef stock to the pan, cover it and place it in a low oven 275 – 300 degree oven for 1 hour or so. Making sure it is heated right through. During the time that the steak is being heated, line a baking pan with foil. 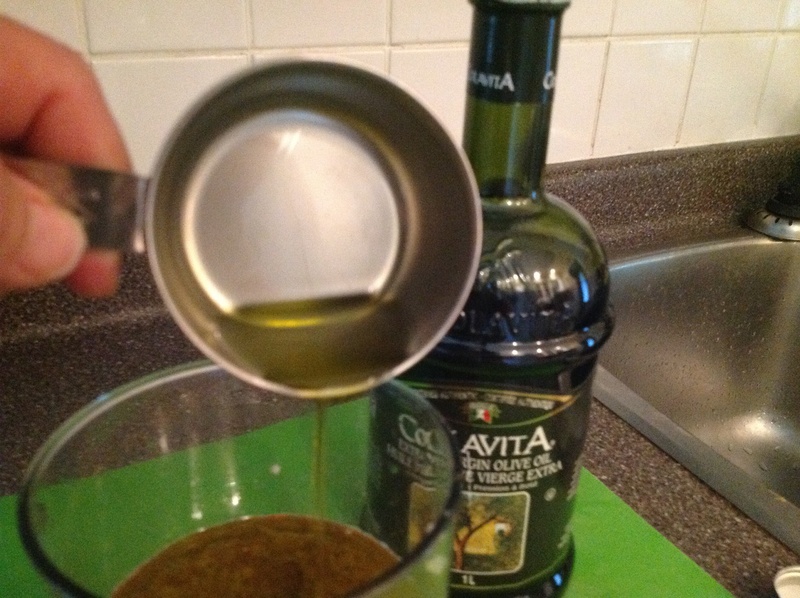 Pour your olive oil on it, add cumin, chilli powder, salt and pepper to the oil. 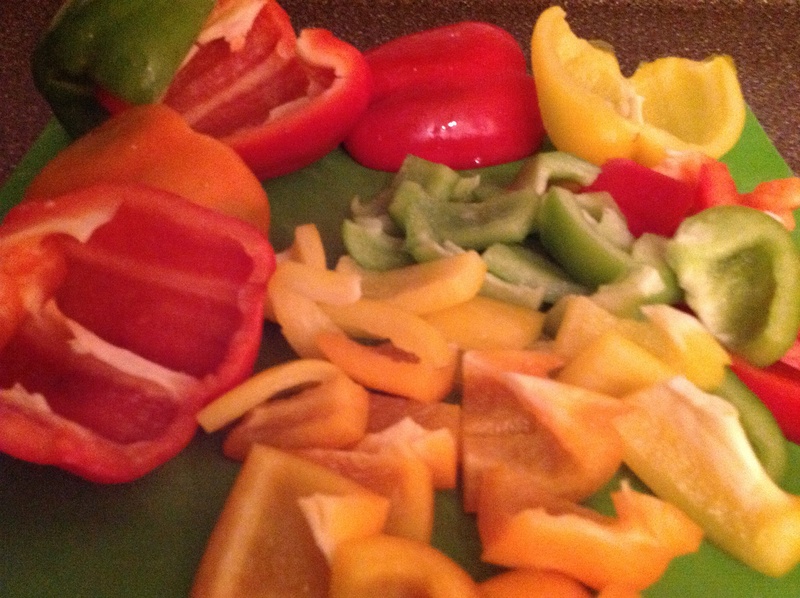 Place your vegetables on top and toss until the veggies are well coated. 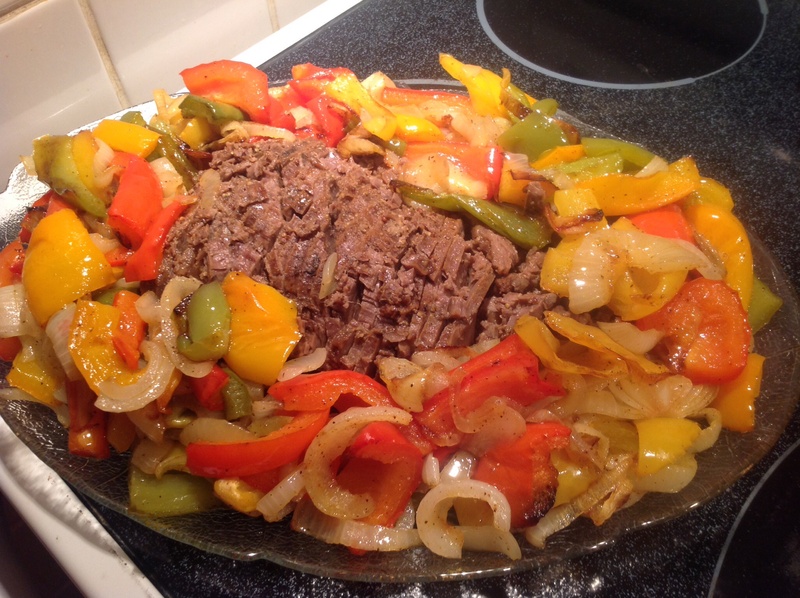 During the last 20 – 30 minutes baking time of your steak add your veggies to the oven. Bake them to the crispness that you prefer. Remove all from the oven. Place the already sliced meat down the middle of a serving platter then around the outside of the meat, arrange your veggies. It looks gorgeous. Good enough to eat, as they say. You can eat this served on a bun of your choice with a little feta sprinkled on top, even some dollops of sour cream or just as is. This is such an easy recipe to make ahead of time, so when your guests arrive you can spend more time with them.